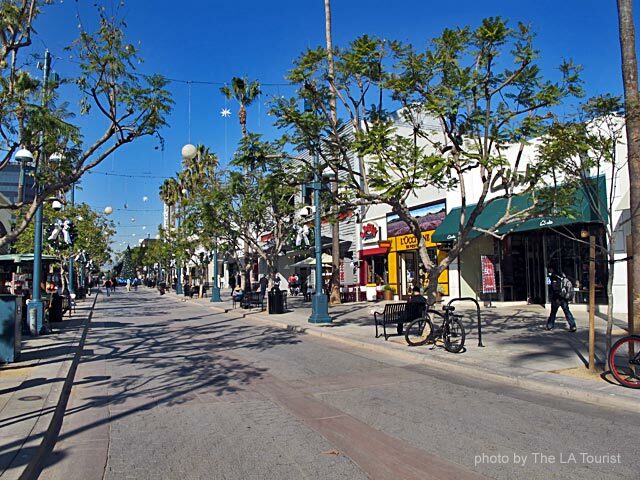 The Third Street Promenade is a section of roadway in Santa Monica where only pedestrians are allowed. The portion on Third Street between Broadway and Wilshire Boulevard is bustling with activity from visitors, street performers and vendors. The Promenade is adjacent to Santa Monica Place Mall, and is lined with stores like Abercrombie & Fitch, Sephora and Urban Outfitters, along with restaurants and snack stands. Many stores are open until 10 PM every night. To get there, go to Third Street near Broadway in Santa Monica.